Revolution of the Eye: Modern Art and the Birth of American Television, the first exhibition to explore how avant-garde art influenced the look and content of network television in its formative years, will be on view at NSU Art Museum Fort Lauderdale from October 24, 2015 through January 10, 2016. 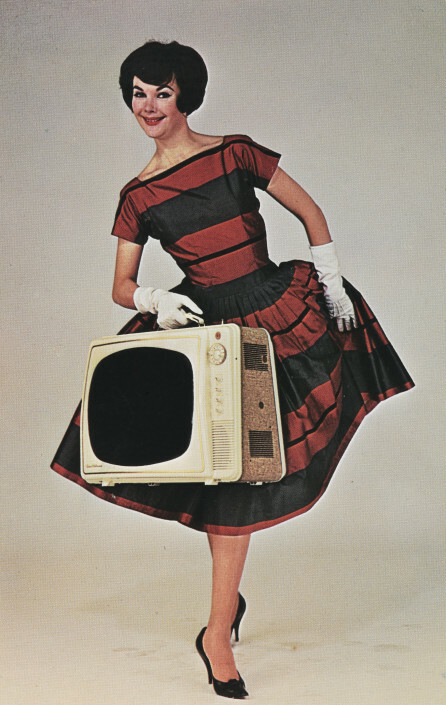 From the late 1940s to the mid-1970s, the pioneers of American television adopted modernism as a source of inspiration. 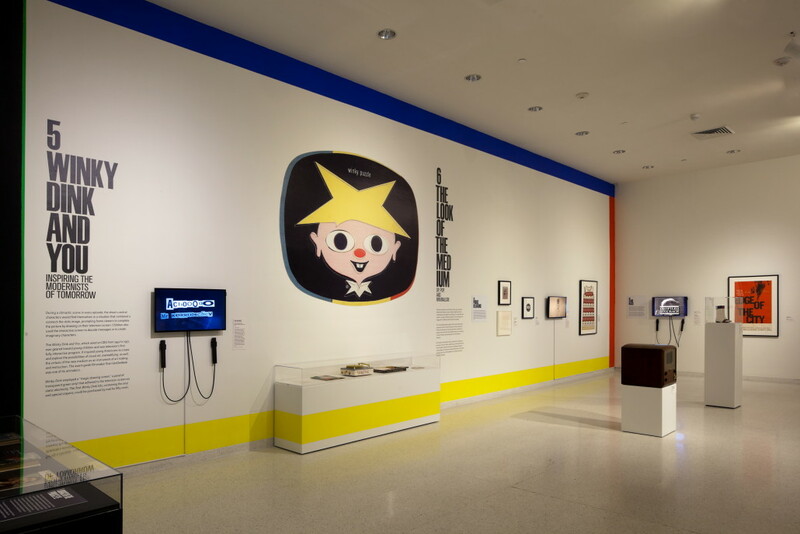 Revolution of the Eye looks at how the dynamic new medium of television in its risk-taking and aesthetic experimentation paralleled and embraced cutting-edge art and design. The exhibition is organized by the Jewish Museum, New York and the Center for Art, Design, and Visual Culture, University of Maryland, Baltimore County (UMBC). Highlighting the visual revolution ushered in by American television and modernist art and design of the 1950s and 1960s, the exhibition features over 260 fine art objects and graphic design, including works by Saul Bass, Marcel Duchamp, Roy Lichtenstein, Agnes Martin, Georgia O’Keeffe and Andy Warhol, as well as ephemera, television memorabilia and clips from historic television programs and film, including Batman, The Ed Sullivan Show, The Ernie Kovacs Show, Rowan and Martin’s Laugh-In, and The Twilight Zone will be on view. The exhibition’s iteration at NSU Art Museum will feature additional work by Georgia O’Keeffe, Frank Stella, Robert Morris, and Bob Kane, among others. Revolution of the Eye examines television’s promotion of avant-garde ideals and aesthetics exemplified by the appropriation of Dada and Surrealist ideas in the aesthetically and conceptually rich series The Twilight Zone and The Ernie Kovacs Show by such pioneers as Rod Serling and Ernie Kovacs. Their influential programs reflected the medium’s potential to alter the way Americans understood the world. 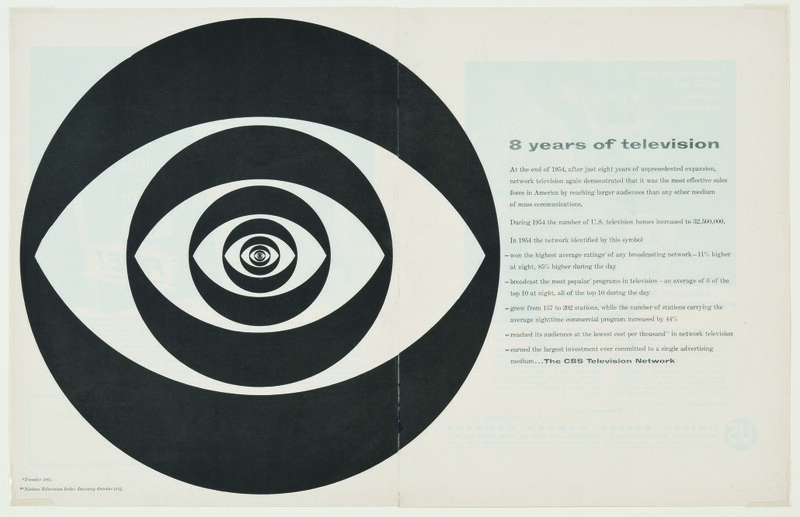 Revolution of the Eye illustrates how Pop Art sensibilities were appropriated on the Batman action series and the variety program, Rowan and Martin’s Laugh-In; Op Art influenced commercials including promotions for Kodak and Caprolon Nylon; and how Color Field and Op Art painting and Minimalist sculpture were embraced by set designers in the mid-1960s when the networks shifted to all-color formats, such as for The Ed Sullivan Show. It also features the medium’s first fully interactive program – Winky Dink and You. 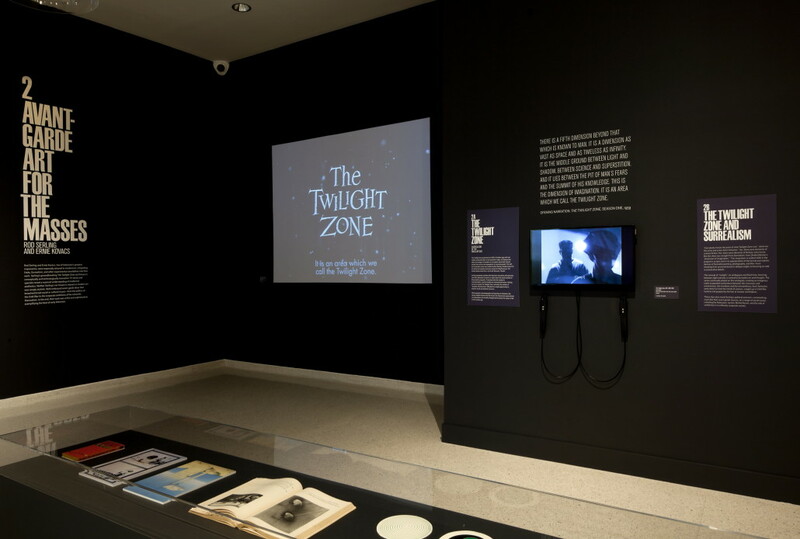 This groundbreaking children’s show invited youth to send away for plastic screens and special crayons, directing them to draw on their television sets to help move along the storyline. 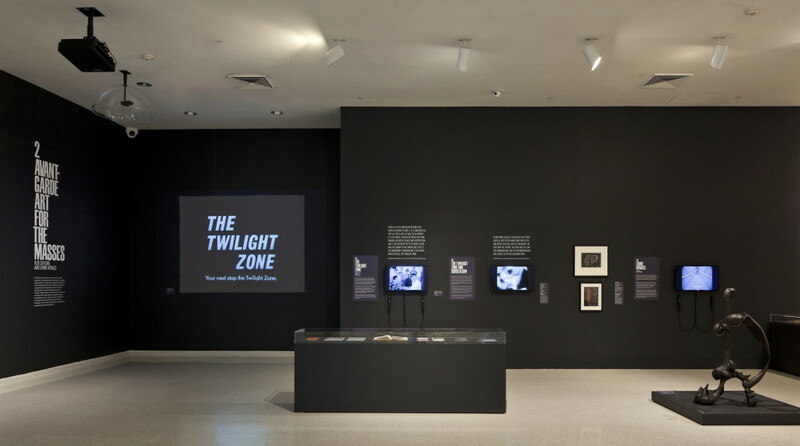 The exhibition looks at television’s facility as a promotional platform for modern artists, designers, and critics; its role as a committed patron of the work of modern artists and designers; and as a medium whose relevance in contemporary culture was validated by the Museum of Modern Art’s historic Television Project (1952-55), which worked with the networks to produce programs on modern art for a broad audience and apply modernist ideals to the look of television. 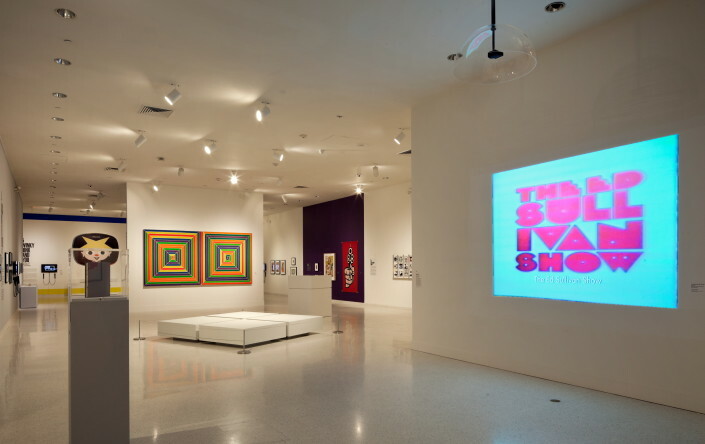 The exhibition also examines the revolutionary corporate advertising and promotional campaigns and title sequences for television series created by graphic designer Saul Bass, including virtually unknown opening credits for Playhouse 90 and Profiles in Courage. 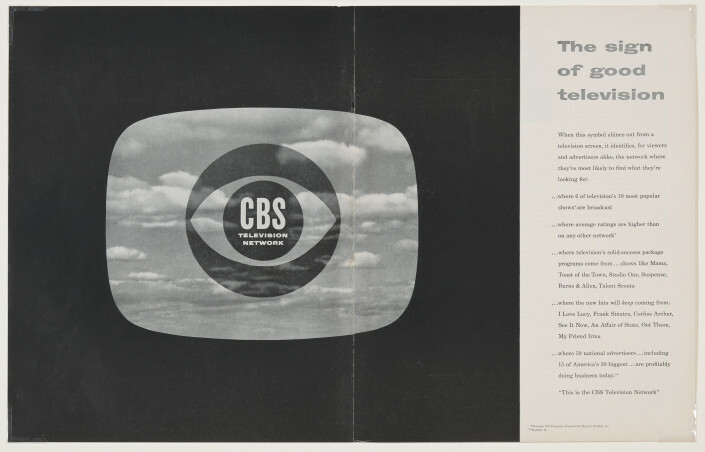 Highlighted is The “New Advertising” revolution of the 1950s and 1960s, which ushered in one of the most creative periods of the medium in the United States, through Andy Warhol and Ben Shahn’s advertising and promotional campaigns for CBS. 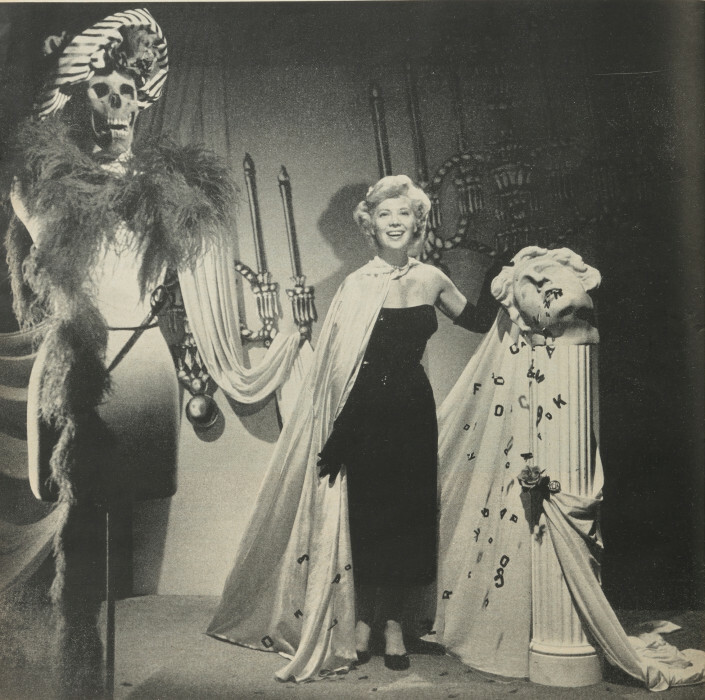 Early on, television opened its doors to appearances by avant-garde artists – from John Cage performing a musical composition on I’ve Got a Secret to Salvador Dali as the mystery guest on What’s My Line. 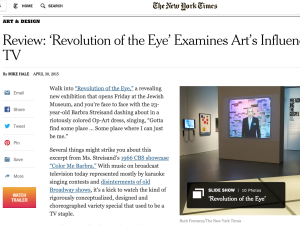 Revolution of the Eye examines the diverse ways modern artists, designers and critics used the medium as a significant vehicle for self-promotion to a broad national audience. Viewers will experience rare clips of Cage, Dali, Willem de Kooning, Marcel Duchamp, Ray Eames, Roy Lichtenstein, Ben Shahn, George Segal and other renowned artists. 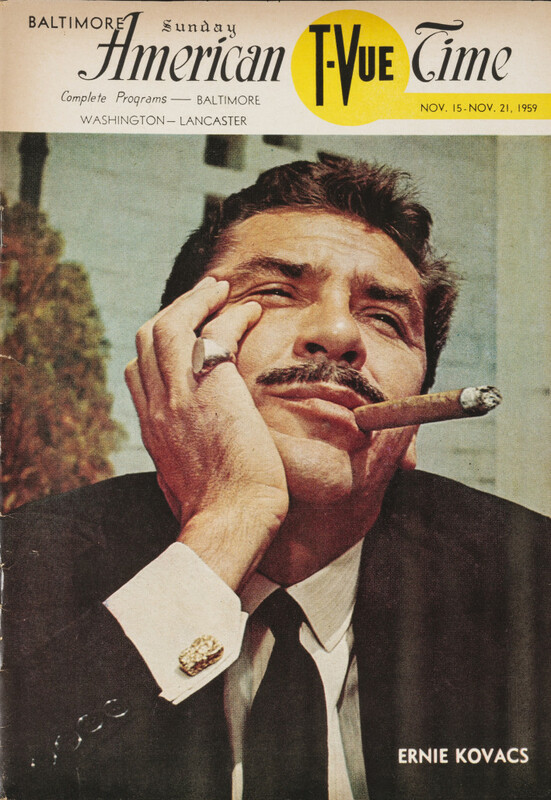 Modern art and graphic design inspired television production and promotions. Revolution of the Eye features the progressive design campaign of the CBS Television Network as one of the most esteemed of any American corporation. CBS art directors William Golden and Lou Dorfsman created an innovative shift in shaping the company’s corporate identity, moving design away from self-expression to a public communication tool that stimulated interest in the network and its programming. 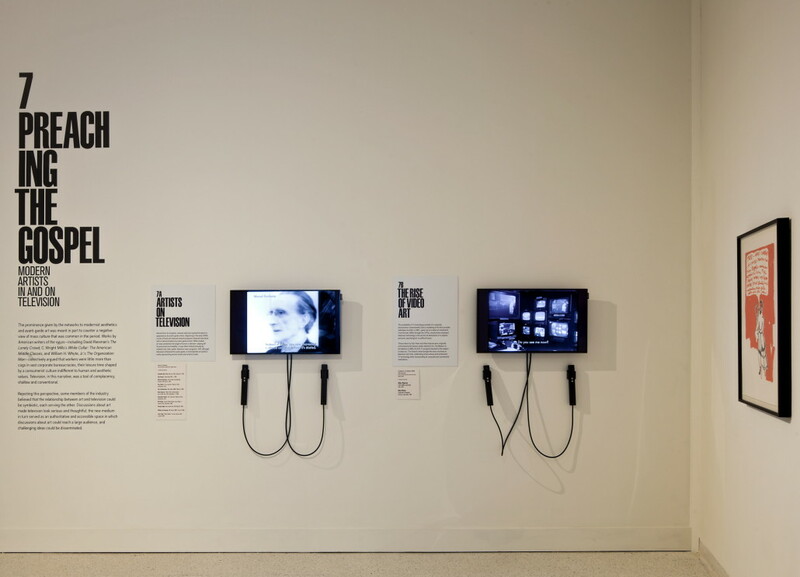 Revolution of the Eye will vividly present the little-known story about the cultural and social context into which television was born and the direct influence of avant-garde artists on the formative years of a medium whose powerful impact on our lives remains pervasive. Revolution of the Eye: Modern Art and the Birth of American Television is curated by Dr. Maurice Berger, Research Professor and Chief Curator, Center for Art, Design and Visual Culture, UMBC, and curator, National Jewish Archive of Broadcasting, The Jewish Museum. 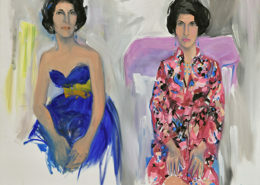 National Exhibition Tour: The Jewish Museum, New York City (May 1 –Sept. 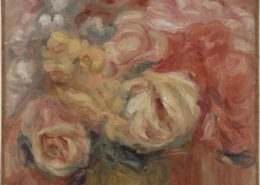 27, 2015); NSU Art Museum Fort Lauderdale, FL (Oct. 24, 2015 – Jan. 10, 2016); The Addison Gallery of American Art, Andover, MA (Apr. 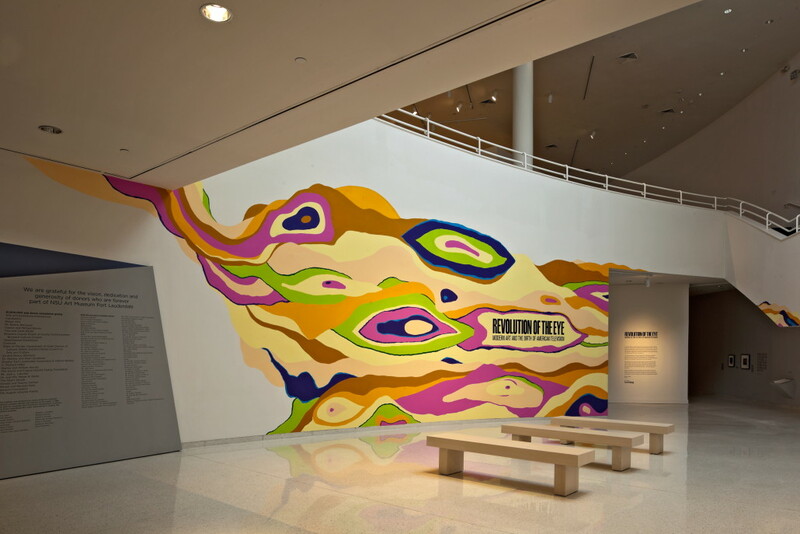 9, 2016 – July 31, 2016); Center for Art, Design, and Visual Culture, University of Maryland, Baltimore County (UMBC) (Oct. 20, 2016 – Jan. 8, 2017); Smart Museum of Art, the University of Chicago, Chicago, IL (Feb. 16, 2017 – June 11, 2017); and additional venues. 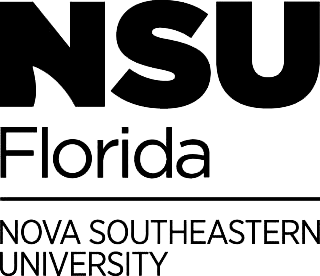 The exhibition at NSU Art Museum Fort Lauderdale is presented by AutoNation. Additional support provided by VANITY FAIR and the Lynn and Louis Wolfson II Family Foundation. Accompanying the exhibition is a 156-page hardcover catalogue published by the Jewish Museum, New York City and Center for Art Design and Visual Culture, University of Maryland, Baltimore County, by Maurice Berger with introduction by Lynn Spigel, in association with Yale University Press. The catalogue will be available at the NSU Art Museum Store.